On a drizzly day more fit for Seattle than the Tristate, a chorus of crunches, whistles, screams, claps and beats from battle raps can be heard, even felt, by those of us assembled near the sideline at Camp Higher Ground. Commingled, the chorus of sounds pierce through the thud of rain drops landing on the canopy above me. On this Sunday morning, I&apos;m taking in a symphony of college football. While the symphony resounding from Higher Ground is familiar, the songs have all been remixed. Under this coaching staff, the tempo is faster, the crescendo more violent. As practice draws to a close, equipment managers hurriedly arrange red pads across the middle of the field, each creating an equidistant lane for the "Oklahoma" drill. The drill is simple…and physical. Two players are on offense – one player runs the ball and the other blocks for the runner between the pads. The third player between the pads is on defense, tasked with stopping the runner. Blowing the whistle frequently and loudly, Luke Fickell appears at home shuffling from collision to collision. After the final violent impact, the team explodes, whistles screech, and Fickell motions the entire team towards him. The University of Cincinnati football players press in. Luke Fickell stands tall among them. No one needs to tell the players to be silent. His inherent respectability already instructed as much. Beneath gray skies, Fickell&apos;s gaze circles the team searching for eyes and audience, "Every single one of you has to earn their spot. We have one [NSFW] objective – WIN! Just WIN!" In the woods surrounding Higher Ground&apos;s two fields of turf, I could faintly hear birds singing. But even they seemed to trail off as Fickell boomed. The previous week, I heard him shout, "We will be disciplined in everything we do. Above anything else. Discipline gives you an opportunity to be great. Good or bad, yesterday doesn&apos;t much matter." Far, far removed from my playing days, Fickell reminds me of my best coaches, the ones who wouldn&apos;t leave you alone or let you get in your own way. Great coaches have a way of getting under your skin, settling into your unconscious mind. They find a way of making you believe. In yourself. In your teammates. In them. In the impossible. Great coaches are evangelists, supernaturalists. A winner of Super Bowl XLV, linebacker A.J. Hawk called Luke Fickell a great coach, gushing, "[He] is the perfect combination…He earns your respect immediately with his knowledge of the game, the fact that he was a great player himself, his endless dedication, his personal interest in each of us and the fact that he wants to win more than anyone." In the nineties, Fickell played under John Cooper at Ohio State. Early on, the hall of fame coach was less-than-dazzled by Fickell&apos;s raw athleticism. Concerned, Cooper phoned Ohio State&apos;s wrestling coach to inquire about the hype surrounding Luke Fickell. Cooper knew Ohio State&apos;s wrestling coach was familiar with Fickell because he was 106-0 as a high school wrestler. The wrestling coach told Cooper to just wait until they put pads on. Then, he&apos;d understand the hype. After they put pads on, Fickell went on to start 50 straight games at nose guard, a school record. If you love the game, the rhythm of football hits you right in chest. When you hear it live for the first time in August, it signals more than the start of some sport&apos;s season. It signals the turning of the seasons. Soon, green leaves will give way to yellows, oranges, and reds – one last deciduous display alongside Cincinnati&apos;s winding roads and rolling terrain. Soon, too, August&apos;s effort will be exposed beneath the glare of September&apos;s stadium lights. A half hour drive from Higher Ground, historic Nippert Stadium is less a football field and more a proving ground. It separates the posers from the players, the heroes from the hype, the wheat from the chaff. 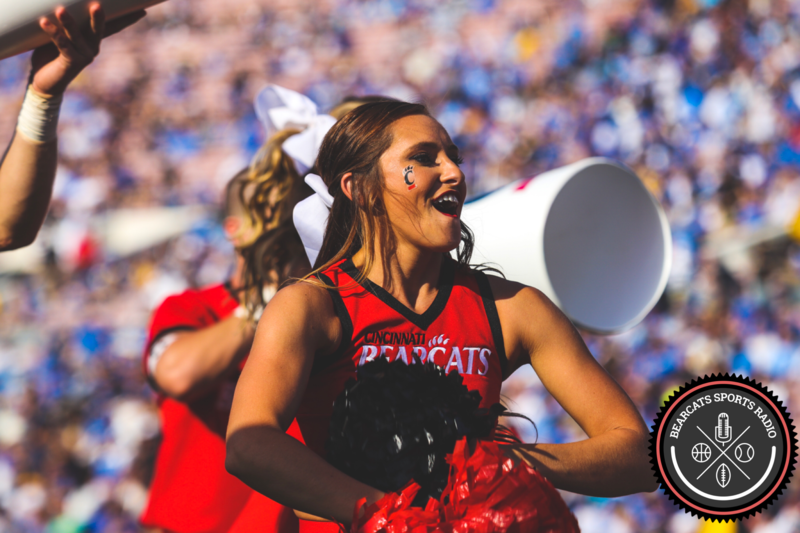 Early this September, the Bearcats travel to the largest stage they&apos;ve experienced since driving up Interstate 71 to play Ohio State in 2014. Like many of you, I believed UC had a chance to win that game. Gunner Kiel made us believe. Our wide receiving corp made us believe. Going into that game, it seemed like the whole team believed, at least for the first three quarters. As this team journeys through its schedule to places like Ann Arbor to play the Michigan Wolverines, how many of its players will believe? In themselves? In their teammates? In their new coaches? In the impossible? When a team&apos;s harmony solidifies and settles under a coach&apos;s leadership, the results feel anointed. Fans flopping in the aisles. Nick Saban, Dabo Swinney, Urban Meyer – those guys aren&apos;t coaches, they&apos;re priests and prophets. What about Luke Fickell? If the past is prologue, there is much to hope for. On the soggy sideline, I am captivated by Fickell and his team of coaches remixing and remaking the team in their own image. Standing here in wet socks, I can&apos;t help but dream and pine for national relevance, a return to the Brian Kelly years. My undisciplined mind wanders, wondering whether Nippert may once again resound with the rapturous thunder of national success, under anointed leadership. Be sure to check back with us for Part 3 of "Wunderkind, Winner, or Wizard? Learning Luke Fickell," in which I&apos;ll discuss the wizardry of the team of coaches Fickell has assembled.